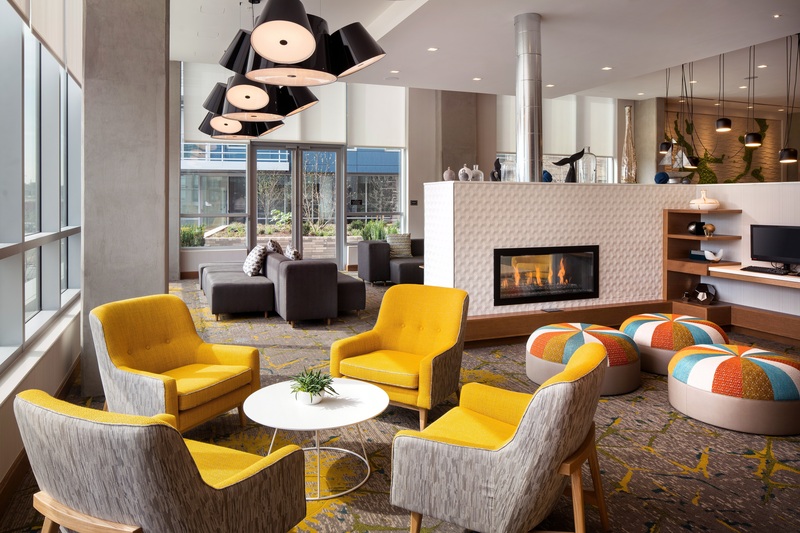 Residence Inn DC Capitol Hill/Navy Yard has been selected from among over 400 entries as a finalist in the Best Lobby Budget/Focused Service category of the 2018 Gold Key Awards for Excellence in Hospitality Design. The Residence Inn Washington Capital Hill / Navy Yard captures the revitalization and fresh energy of the area public spaces are dotted with vibrant, warm yellows and oranges. Custom lighting reflects the industrial heritage of the locale. Presented by Boutique Design magazine, the Gold Key Awards honor the world’s most innovative hospitality projects. Finalists and winners are selected by a renowned panel of judges, comprised of notable leaders representing key sectors of the hospitality industry.